With Carter at the party for her new book in Soho. 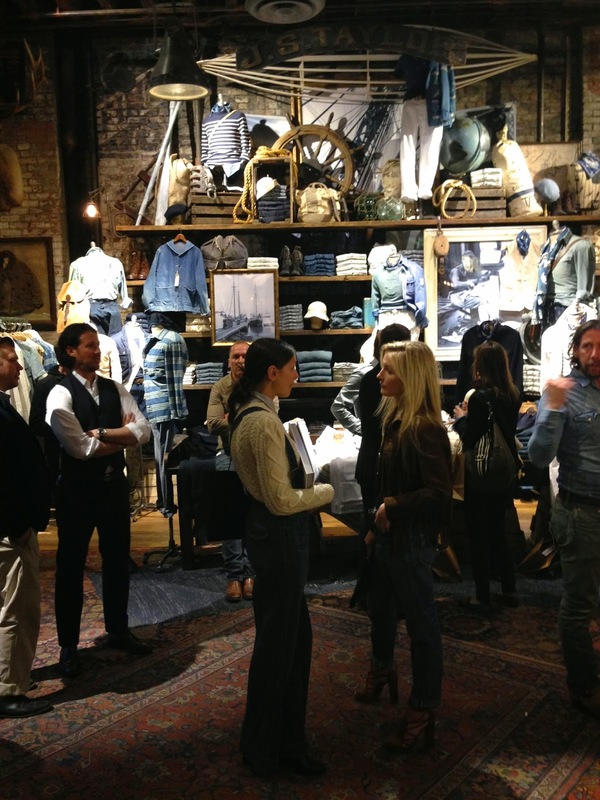 My friend Mary Randolph Carter, who is a long-time creative director at Ralph Lauren and who is known as Carter, just published a new book, and Ralph Lauren hosted a party to celebrate in the RRL store in Soho. I met Carter some years ago when I freelanced at Ralph Lauren (I am also freelancing there now), and we have remained friends since. At Ralph Lauren, she had the most unique office that I have ever encountered in the work place. 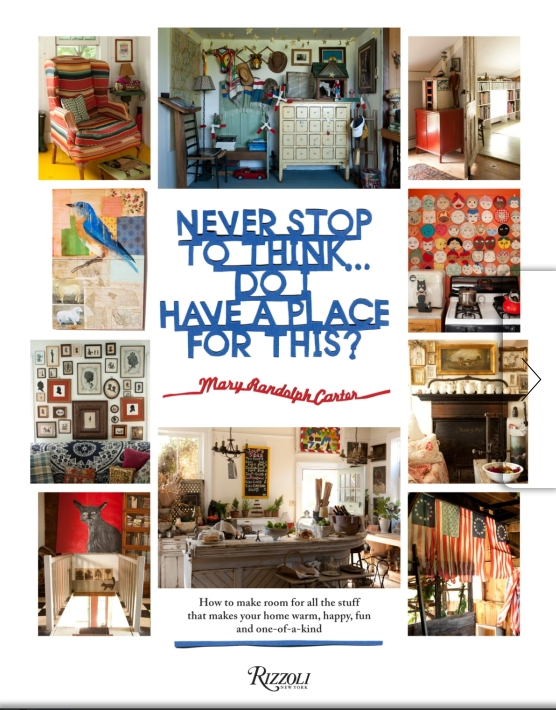 Layered with antiques, art, textiles, blankets, books and magazines, it was like a trip to a cabin in Maine although it was located at Madison and 60th. Carter has written several books and a favorite of mine is called For the Love of Old which captures in words and pictures her passion for things from the past that have a history. Carter loves antique finds and vintage clothes, and her personal style is completely unique to her and always inspiring. In this book, she encourages readers not to be deterred by lack of space if they find an antique or collectible they like. 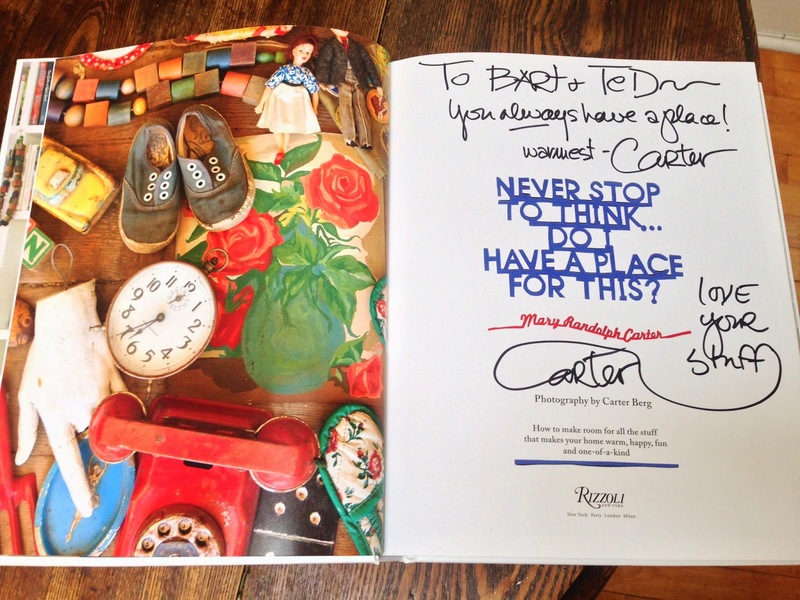 "If there is a place in your heart, then there is a place in your home," Carter said to me at her book party. "It gives you permission to find the wackiest thing and embrace it. If you see something and it speaks to you then you don't have to say no. I never have." 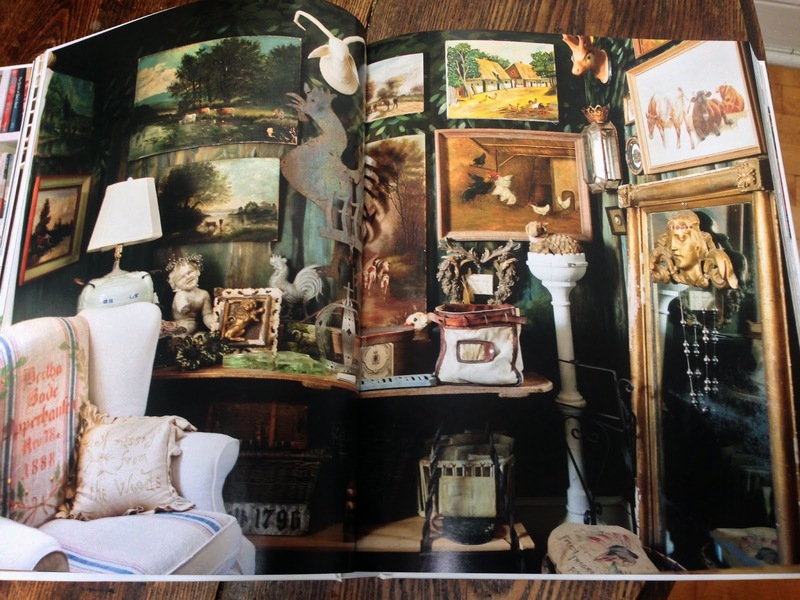 The photography is by Carter Berg who is Carter's son, and it reminds me of The World of Interiors magazine which lovingly captures splendors of the past. 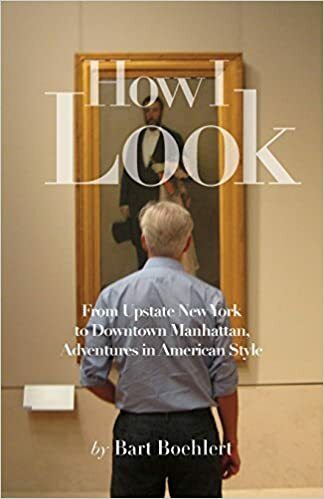 This book celebrates following your own voice and pursuing what appeals to you to create a singular personal style that is above and beyond passing trends. I'm a big fan of Carter's artistic approach and it has definitely influenced me. Ralph Lauren himself came to congratulate Carter. The room quieted down and Carter thanked Ralph and noted that when they were introduced she realized that "I met someone who loves more things than I do." Ralph complimented Carter saying, "She's been a great asset to me and the company and she's better than ever." The RRL store on West Broadway is one of my favorite places, with its vintage-inspired clothes and evocative displays. It's a trip back in time, and there is a vignette to look at in every corner, like the combination of this antique industrial lamp, leather and canvas messenger bag, and old-fashioned cotton shirt. Looked like a fun evening! Thanks for the post. Great job! Thanks Dean! It was swell soiree and the book is terrific! I feel a little better about all my stuff now, thank you. Thanks, Bart! I LOVED your review, and I LOVE you!